The concept of the glycaemic index (GI) was first introduced in the early 1980s as a method of functionally ranking carbohydrate foods based on their actual postprandial blood glucose response compared with a reference food (either glucose or white bread). Although the GI is a debatable topic among many exercise and health professionals, nutritional recommendations to improve exercise performance and enhance exercise capacity are regularly based on information related to the GI. Studies focusing on the consumption of a pre-exercise GI meal have provided evidence that a benefit exists in relation to endurance performance and substrate utilization when a low GI meal is compared with a high GI meal. However, other investigations have shown that when nutritional strategies incorporating GI are applied to multiple meals, there is no clear advantage to the athlete in terms of exercise performance and capacity. 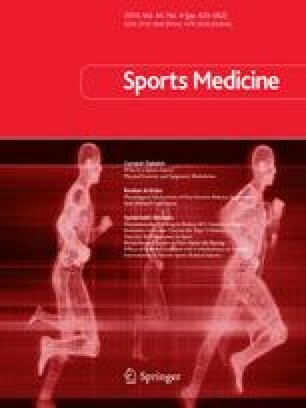 It has been suggested that carbohydrate ingestion during endurance exercise negates the effect of the consumption of pre-exercise GI meals. The glycaemic load (GL) is a relatively novel concept in the area of sports nutrition, and has not been widely investigated. Its premise is that the effect, if any, on exercise performance is determined by the overall glycaemic effect of a diet and not by the amount of carbohydrate alone. The claims for GL have been disputed by a number of sports nutrition specialists, and have gone largely unrecognized by professional and scientific bodies. Research on the effect of the GL on exercise performance and capacity is still at an early stage, but recent studies have shown that the concept may have some merit as far as sports nutrition is concerned. It has been suggested that the GL may be a better predictor of glycaemic responses than the GI alone. The authors would like to acknowledge the valuable contributions made by Dr Donal O’Gorman and Dr Wendy Huang during the writing of this review. They would also like to thank Dr Chris Lonsdale and Dr David Wilmshurst for a number of editorial suggestions. No sources of funding were used to assist in the preparation of this review, and the authors have no conflicts of interest that are directly relevant to the content of this review.